It’s not every day you come across something that can be beneficial in a number of ways. Let’s face the fact that everyone will always look for a new lead of products. Take a moment to think about everything we have, need, or enjoy. So many incredible ideas are going to come to mind while doing so. Not to mention that we are the only ones who are in need of something new. That’s right; you also want to think about your pus needs too. Everyone wants to take care of their puts the best way possible. Meaning there are several factors you have to take into account along the way. If there is one thing I know for sure, dogs can’t wait to get their paws on a tasty treat. With their being so many to pick and choose from, well, how could they ever have a favorite? This is a debate that can go on for quite some time, but not to worry one bit. 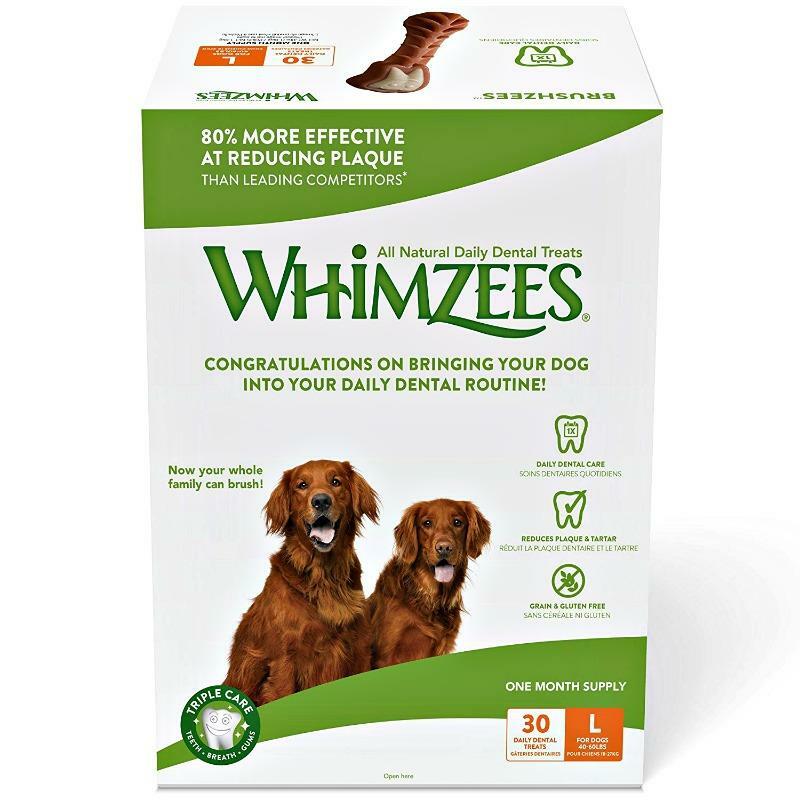 If you are ever looking for something new to try, go with WHIMZEES Brushzees 30 Day Dental Dog Treats! Trust me; you’ll be accomplishing more than just a great tasting treat for your pups. Dog owners always look for a treat that’s versatile, one that has more than one offering. If that’s the case for you, then this is definitely the treat option for you! It’s a known fact that veterinarians believe in brushing just about every day. Although, WHIMZEES has an easier way to go about doing so. With their Brushzees, keeping your pups dental situation under control will be easier. For starters, these treats are made with ridges and grooves that help reduce plaque, tartar, and even bad breath. Limited ingredient chews are gluten-free, grain-free, GMO-free and have no artificial colors, flavors or preservatives. Trust me; if you decide to go with this particular treat, you won’t regret a thing at all. Plus, I know you’ll love seeing how happy your pups are while they are enjoying themselves.